I love koftas based gravies, and whenever we dine out I make it a point to order it as a side dish. As hubby is not fond of it I dont order it often, now the fact that my lil one loves it and I’ve a company and have been ordering it often. The one I tasted recently in Annapurna Gowrishankar was a different white based gravy(with milk, cashew paste and cream) and I totally luved it, I will surely try to recreate it and post it. From the day I saw the cauliflower kofta curry in Raks Kitchen I wanted to try it. She has well explainatory stepwise pictures but still my queries were endless as usual. Though everything is self explained, when the chef is ur friend why not take advantage of it 😉 Ha ha hope she doesnt kick me. But she patiently answered everything I asked and also suggested paneer as stuffing when I asked for cheese alternative. Even before she posted, when she mentioned about this gravy with broccoli I was way too tempted as its my fav veggie. But then here fresh broccoli isnt easy to find and I didnt want the healthy veggie to take oil bath 😉 so went ahead with cauliflower as she did. Pressure cook potatoes until soft, peel off he skin and mash them well. Heat a pan with oil, add cauliflower and saute it well for 3 mins until raw smell leaves. Close with a lid for 5 mins, stirring in between. In a mixing bowl, add mashed potatoes, cooked cauliflower, cornflour, pepper, salt, garam masala, baking powder and mix well. 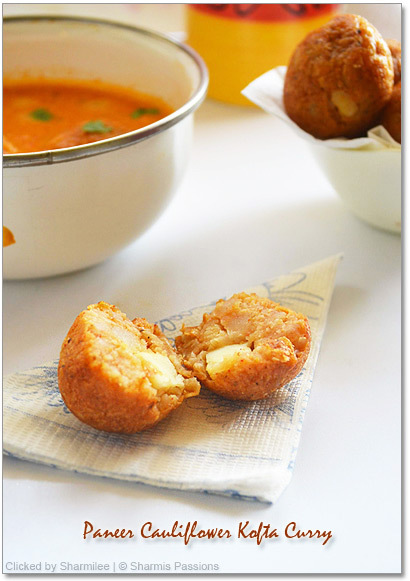 Make small balls , flatten them then keep paneer cubes inside and then close it as shown in the below pic. I didnt deep fry them instead toasted them in kuzhipaniyaram pan till golden brown. This is a sure a bit lengthy process, the moment you feel tired after all the lengthy cooking ur koftas bring a smile to ur face….Yes they are truely yummy and just melt in the mouth. You can deep fry them too, then drain it in a tissue for the excess oil to be absorbed. Ur koftas are ready now, keep it aside. 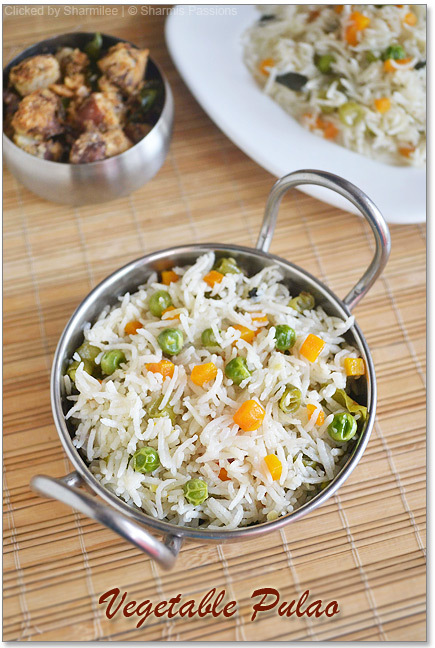 Heat a pan with oil, add jeera allow it to splutter, add ginger garlic paste fry for 2mins. Then add tomato puree, allow it cook till raw smell of tomatoes leave.Add 1/4 cup water and allow it to boil. At this stage add garam masala,red chilli,coriander powders along with salt and leave it until the gravy is thick. Again,add little water, add coriander leaves and simmer for another 4-5 mins. Add milk and cream and mix well,in low flame. When it is about to boil add the koftas and garnish with coriander leaves, switch off. 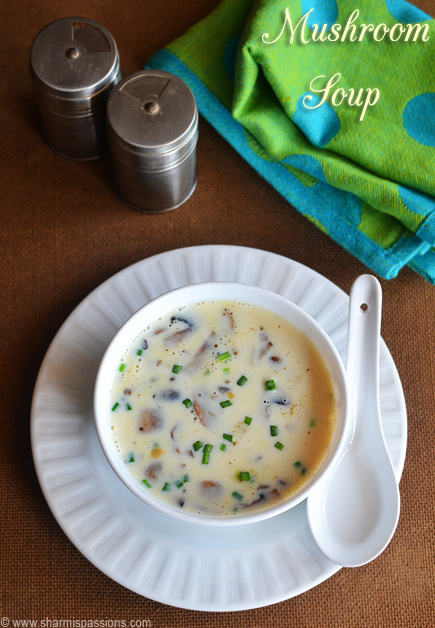 Serve hot with phulkas / naans. The koftas are very soft so take care not to break them while deep frying or toasting in kuzhipaniyaram pan. Do not keep in stove for more time(more than 5mins) after milk is added, there is chance for milk to curdle. At the final stage before milk is added make sure ur gravy is thick. You can add in cheese as stuffing mentioned in the orginal recipe too. I just love the color of the gravy and frying them in paniyaram pan is super good. i think you missed the cornflour to be added. Do we need to add it for koftas along with other ingredients..
Lovely koftas… they look so beautiful… the dish just overflows with taste….superb pic. I remember seeing this in her place too and yours look so so yummy too. Wish i had this? I have to admit i have only tried to make ve kofta once and it was a disater so o gave up. I think i shouldtry my hand on them again. New Kofta recipe and yeah it looks perfect ! will try this sometime !! @Vidya:Thanks for noticing it, have added it now. Yes we have to add it with other ingredients for kofta making. 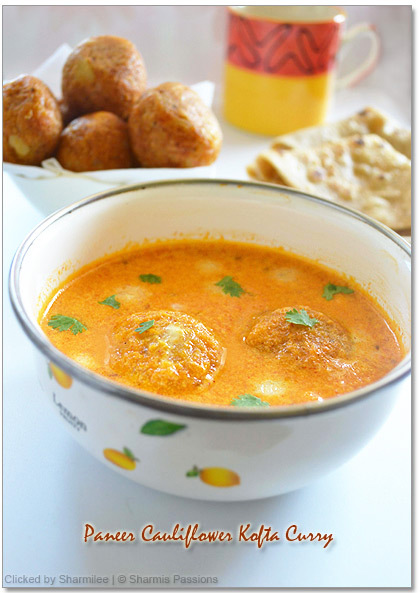 the koftas looks really nice!….the gravy is very delish/..the whole dish is awesome! too good! How very cute they look and that gravy looks creamy and delish too. Beautiful and tempting curry,looks awesome dear. That is one superb recipe, loving the color n texture of the gravy !!! This looks so heavenly! I loved the photographs too. And that paneer peeking out from the broken kofta looks divine! 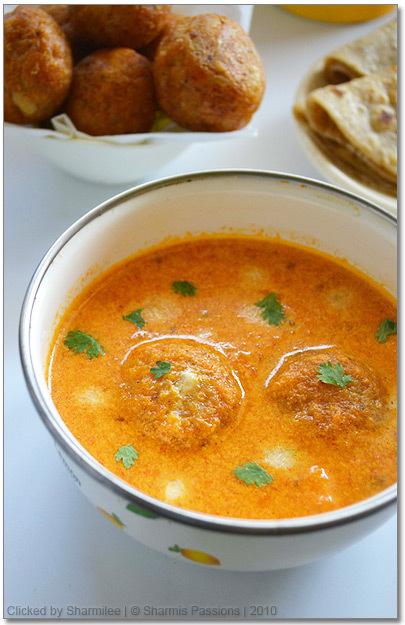 Marvellous,inviting and super delicious kofta curry,sooo tempting..
Paneer stuffed kofta looks delicious. The kofta looks so delectable !! Luv the silky texture and color of the gravy. healthy version of kofta..looks tempting! !yum yum!! Very very very tempting curry…good to know that you don't to deep fry to get such a rich tasting curry. I love koftas too and often have to eat it alone as hubby is not so fond of it.Made aloo koftas sometime back using the appam pan method.Had bookmarked it at Raks place as we love broccoli and this was a new way to cook the vegetable.Now I surely got to try this!! These koftas are looking wonderful..loved the way you used kuzhipaniyaram pan to fry these…absolutely delicious. 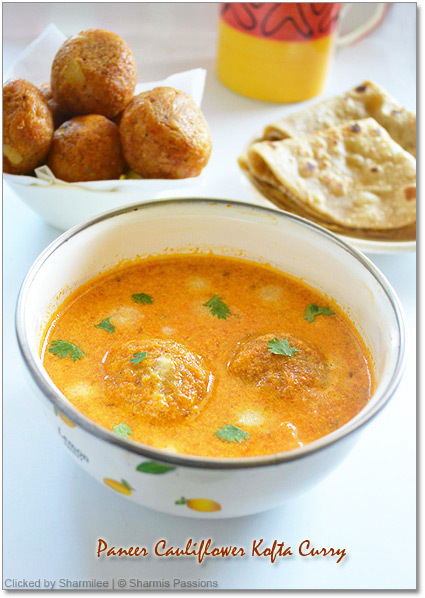 I am a big fan of koftas and this is such a delight to me Sharmi…Awesome job girl.. This looks wonderful and I'm absolutely delighted by your low fat frying! How neat! The koftas look scrumptious!! 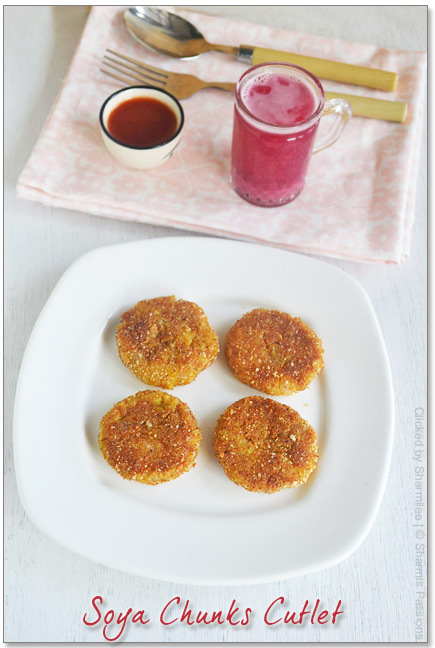 lovely idea to fill paneer and a fat free way to have it too. Lovely photographs! very inviting. Oh wow this kofta curry looks mouth watering!!! 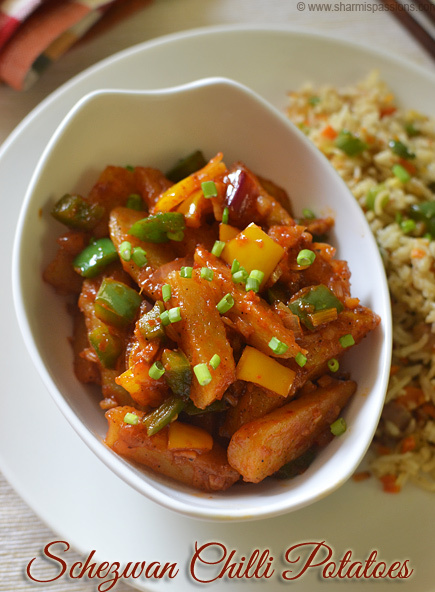 Surprising with a paneer piece looks good, that is a great recipe! 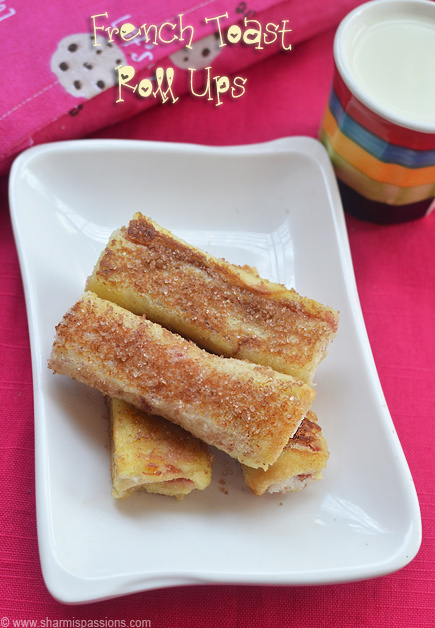 This looks fabulous ..perfect sidedish and tasy sidedish for roti..pictures are great. beautiful n tempting clicks….really fabulous dear…. You're recipe is amazing! Usually cookbooks tell us to deep fry the kofta balls but you suggested a healthier alternative by cooking the koftas in a kuzhipaniyaram vessel. Thats innovative please post more healthier ideas like this. 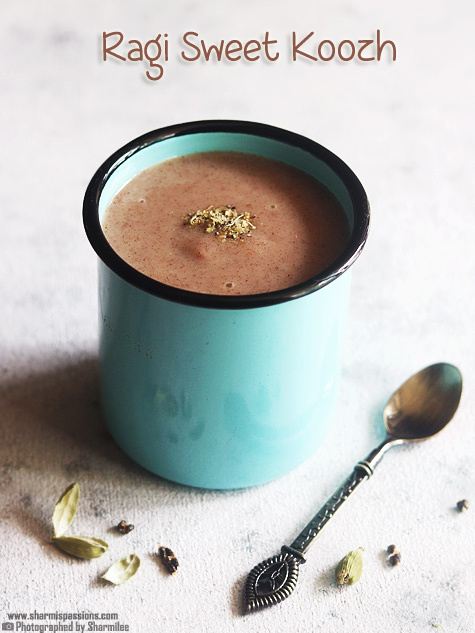 An awesome blog……..awesome recipes…I just love your recipes, already tried two of them…and everyone at home loved it, thank you. Great job!!! !